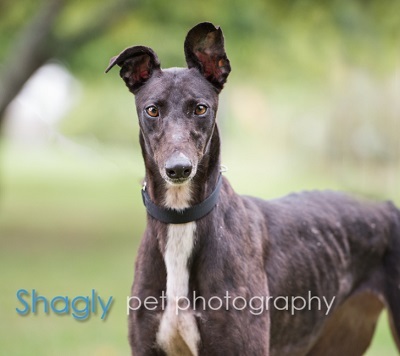 Brenna, aka Varoom Brenna, is a 4 year old black female born June 10, 2013. Her sire is Flying Culloden and her dam is CTW Unveiled. 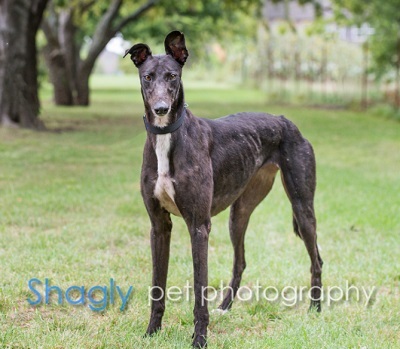 Brenna has 167 races to her credit on greyhound-data.com, starting at Bluffs Run in Council Bluffs, IA in 2014. From there she moved to Wheeling Downs in Wheeling, WV before finishing her racing career at Mobile Greyhound Park in AL on August 18, 2017. This girl certainly deserves her very own retirement couch and family. Brenna is not considered to be cat or small animal tolerant.